Dorothy M. Stewart, 87, of Linesville, passed away on Saturday, July 7, 2018, at Rolling Fields Eldercare Community in Conneautville, surrounded by her family following a short illness. She was born August 3, 1930, a daughter of the late Homer and Marjorie Dumbleton Wolfley in Alexander, New York. She married James R. Stewart, June 10, 1950 at the Methodist Church in Alexander, New York, returning to the R. N. Stewart Farm, now called the North Shore Dairy Farm in Linesville. Their five children became the fourth generation to live there. Dorothy was a graduate of the class of 1948 from the Alexander Central School, employed in the office of the Batavia NY GLF feed mill and the GLF mill in Linesville. Dorothy was an active member of the Linesville Presbyterian Church for over 50 years and a member of the choir. 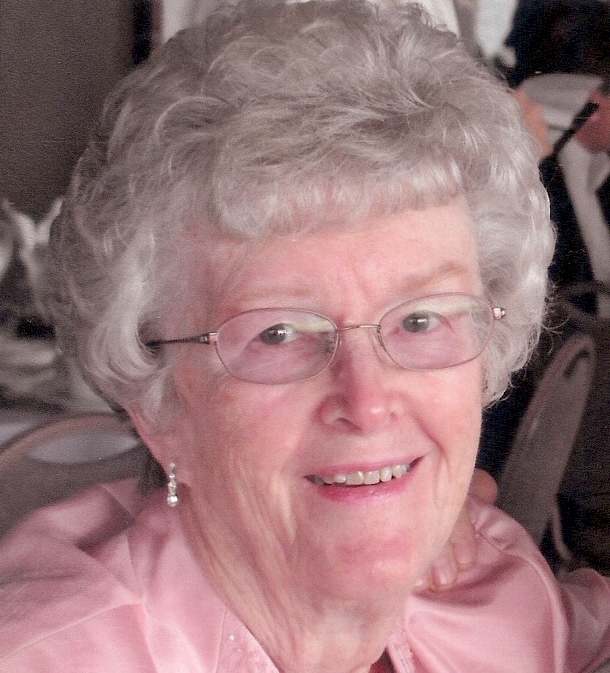 A former member of the Linesville American Legion Post 462 Auxiliary, she enjoyed bowling, her children and grandchildren’s school activities, gardening, cross stitching and was Judge of Election for Pine Township for several years. Surviving are her four sons, David Stewart and his wife, Debbie, Paul Stewart and his wife, Lisa, Tom Stewart and his wife, Caroline, and John Stewart all of Linesville; a daughter, Kathryn Wielobob and her fiancé, Dave Prenatt of Conneaut Lake; five grandchildren, Adam Wielobob and his wife, Jody, of Meadville, Jana (Wielobob) Laird and her husband, Travis, of London, England, Paula Stewart of Port Charlotte, Florida, Anthony Stewart and his wife, Aleisha, of Hartstown, and Amanda (Stewart) Vallieres and her husband, Mitch, of Meadville; seven great-grandchildren, Vivian Laird, Lydia Laird, Brittney Wielobob, Breelyn Wielobob, Maddox Vallieres, Nova Stewart and Ava Lynn Vallieres. Also surviving are a brother, Willard Wolfley and his wife, Sandra, two sisters, Mary Lou Wolfley and Wanda Wolfley, a sister-in-law, Doris Wolfley all of Alexander, New York; a sister-in-law, Shirley King of Brookville; a sister-in-law, Jane McDermott and brother-in-law, Fred Stewart both of Linesville; and several nieces and nephews. Preceding her in death besides her parents; her husband of 60 years, James R. Stewart; a son-in-law, Jeffrey Wielobob of Conneaut Lake; a brother Eugene Wolfley of Alexander, New York; a brother-in-law, Fred King of Brookville; a brother-in-law, Phillip McDermott of Linesville; and a brother-in-law and sister-in-law, Regis and Sue Mika of Longmont, Colorado. Calling hours will be on Wednesday from 3 to 6 p.m. at Royal-Coleman Funeral Home, 6028 U.S. Highway 6, Linesville. A funeral service will be at 1 p.m. Thursday at the funeral home with Rev. Rachel Johns of the Linesville Presbyterian Church officiating. The family suggests memorial contributions be made to the Linesville Presbyterian Church, PO Box 235 or the Linesville Volunteer Fire Department, PO Box 55, both of Linesville, Pa 16424. Please share a condolence or memory of Dorothy for the family at royalcolemanfuneralhome.com.